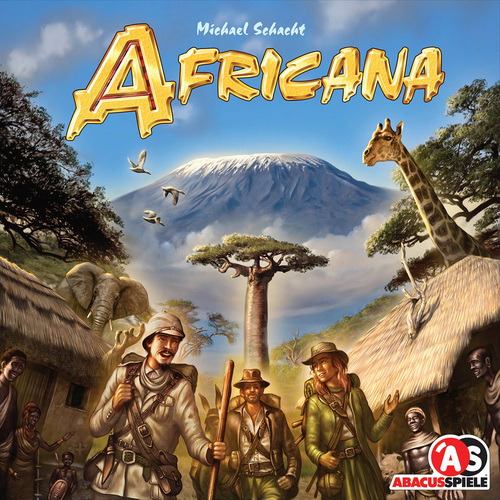 New out from Z-Man Games is Africana. Step back in time to the late 19th century where European nations set out to explore the secrets of the African continent. Players travel from city to city completing multiple expeditions under contract. Clever utilization of the travel routes and completion of many expeditions will yield the finances necessary to acquire adventure cards that contain valuable artifacts. New out from Looney Labs is this card game that will drive you insane! "The Necronomicon has been stolen, a Farm is undergoing a horrifying Metamorphosis, and abominations stir in Penguin-riddled Tombs beneath the ice. Will your curiosity lead you to inevitable Doom, or are you actually a secret Cultist? 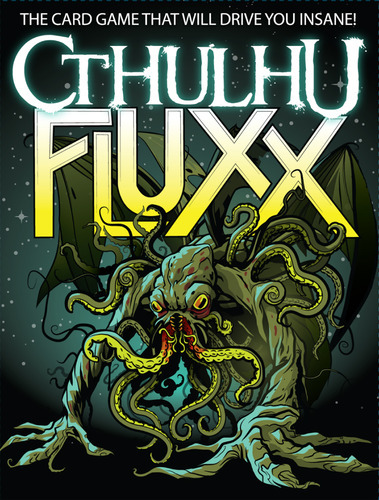 Gaze upon the ever-changing face of madness with Cthulhu Fluxx." Another classic board game hits our shelves. 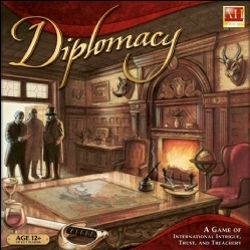 Diplomacy challenges players to rely on their own cunning and cleverness, not dice, to determine the outcome of this game of conspiracies and conquest. This is a classic game of international intrigue, trust, and treachery.